The 1st Finals Day was played at Renton BC on Saturday 26th August. Although the weather was warm and dry, the green was sodden due to heavy overnight rain. 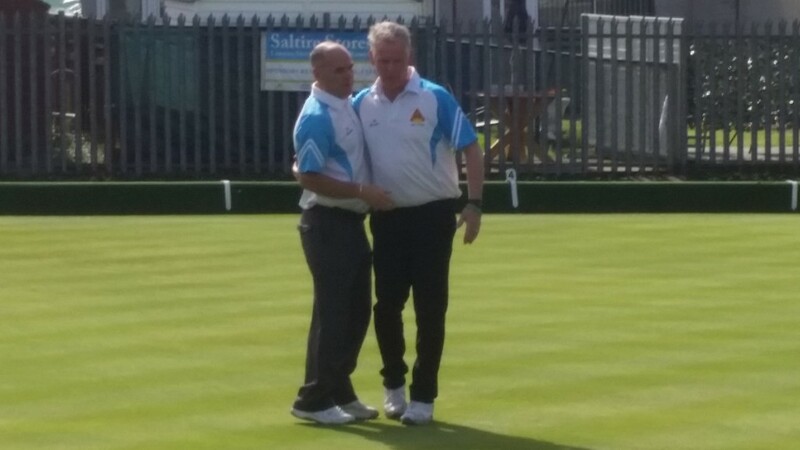 Scheduled for play was the Championship final contested between Mick Keenan and Tommy Pender. Mick was aiming to win his second championship (won in 2014) whereas Pele was aiming for his first title – and to become only the third player in Renton BC history to win the main prize whilst serving as President of the Club. John Brodie, Match Secretary marked the final with Ronnie Jardine, Past President acting as scoreboard marker/umpire. The game was even for the first hour or so, with both players adjusting to a tricky rink 3 which was made more difficult by the damp conditions underfoot. Shots were exchanged with the scores at 4-4, 7-7 and 10-10 at various points. Mick took a 14-13 lead then Pele had two successive loose ends where he lost a couple of 3s, one of which was created by Mick via an excellent conversion shot off the swinging backhand. Pele played an exceptional final bowl under pressure with the match against him at 13-20. However, Mick closed the game out at the next end to clinch his second championship 21-14 after 20 ends and just under 2 hours of play. Congratulations to Mick – a worthy champion – and to Pele for putting up such a fight in a keenly contested final.